Located on high ground, various points within Shinpachiya offer glimpses of the changing seasons and views away to the horizon. 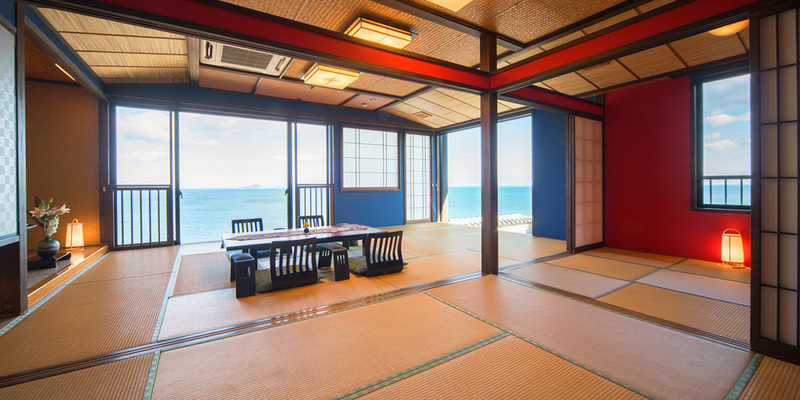 Enjoy moments of pure relaxation reclining on the tatami mats in a room with a view of the beautiful blue Pacific Ocean. 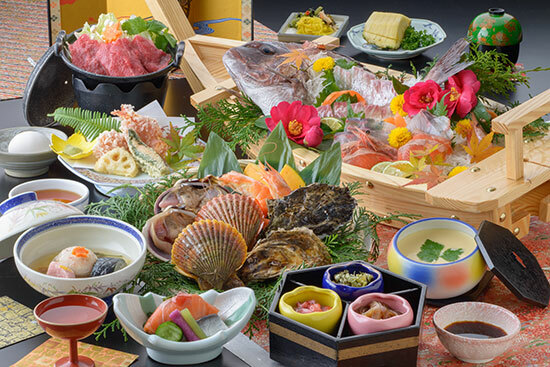 What's more, Shinpachiya is close to Ijika Port where we procure fresh produce every day from both the mountain and sea, bring out the best of their original flavors, and present them to our guests. 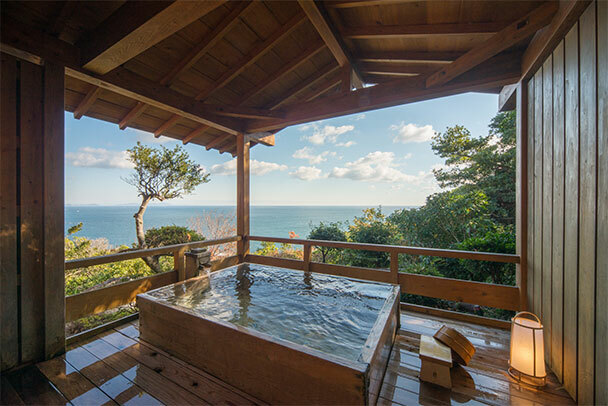 After enjoying a nice meal, unwind in the open-air bath with its ocean view. 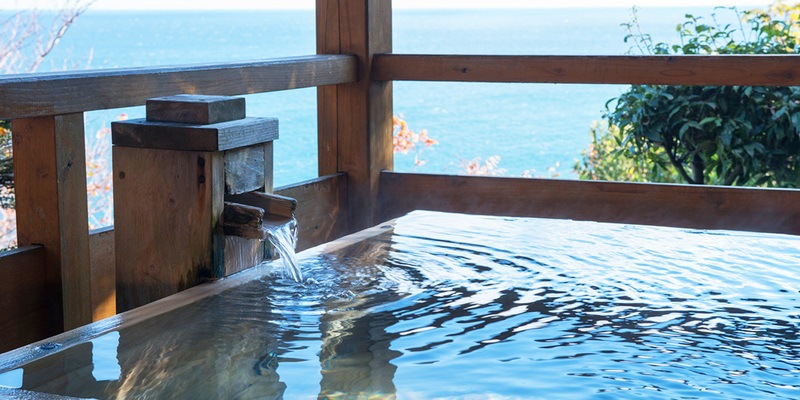 The baths are filled with water from Mie Prefecture's famous hot spring, Hakusan Onsen. 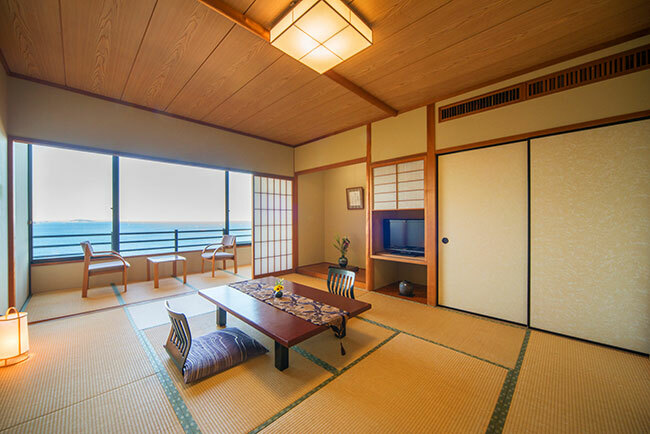 Each and every one of the rooms at Shinpachiya feature views of the beautiful blue Pacific Ocean. 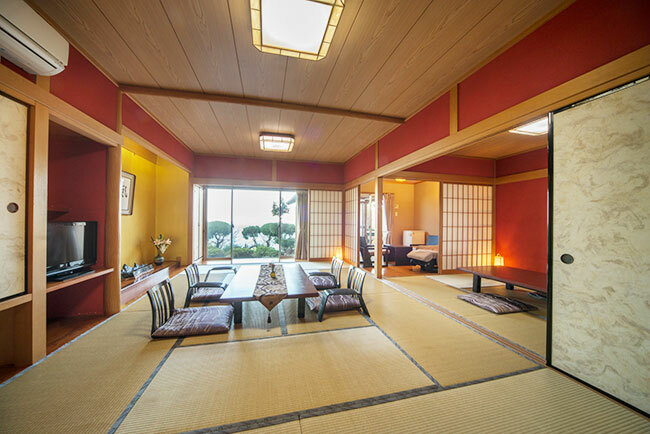 Stretch out on the tatami mats and rest in luxury. Tatami rooms so unique to Japan are richly atmospheric. This room has its own open-air bath with an ocean view. We aim to help you forget the bustle of everyday life and feel the fatigue drain away. Sit back and relax in a room where time goes by more slowly than in the outside world. 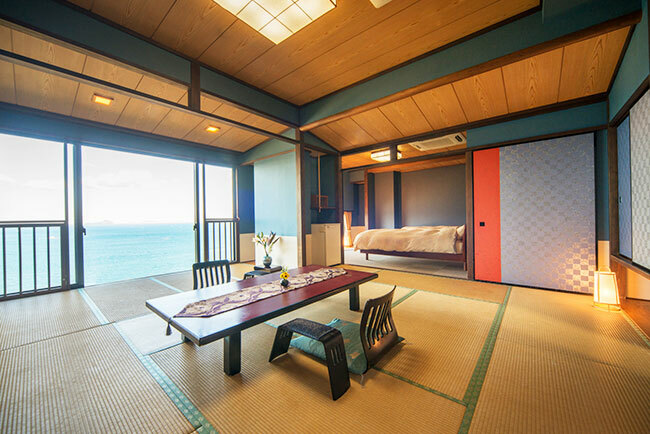 Enjoy a tatami room unique to Japan. 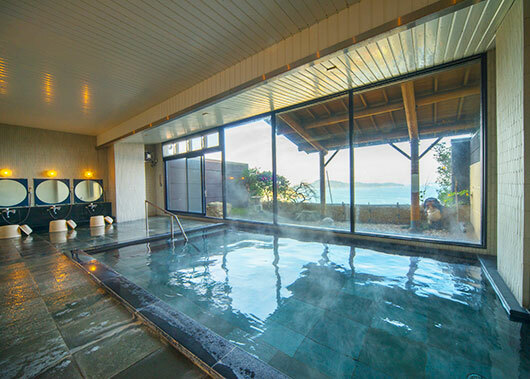 The view through the large windows sees the Ise-Shima Ocean spreading out right before your eyes. The view of the crystal clear blue ocean of Ise-Shima is magnificent. There are also rooms for guests more accustomed to beds. Rooms of a generous size with sweeping views of the Pacific Ocean. Lie on the tatami mats and stretch out our legs, and you feel the daily fatigue slowly lift. Available for groups of two to five persons. 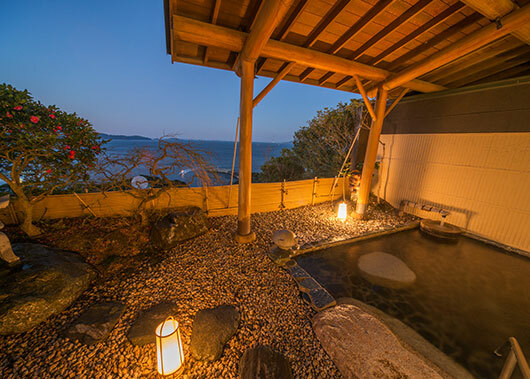 The baths are filled with water from Hakusan Onsen, Sakakibara, one of Mie Prefecture's leading famous hot springs known nationwide. The smooth texture of the water is especially popular. Relax and enjoy the Japanese ambience. 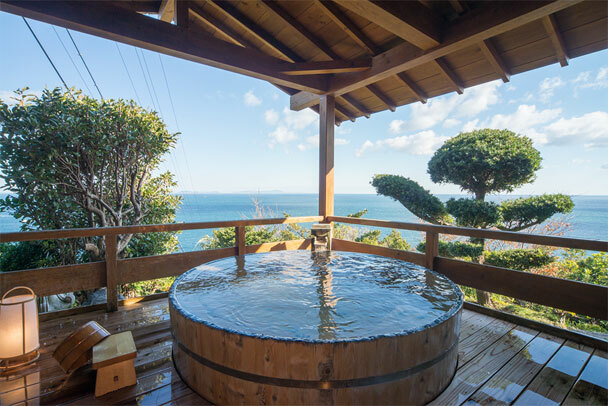 A popular open-air bath exclusively for private use. 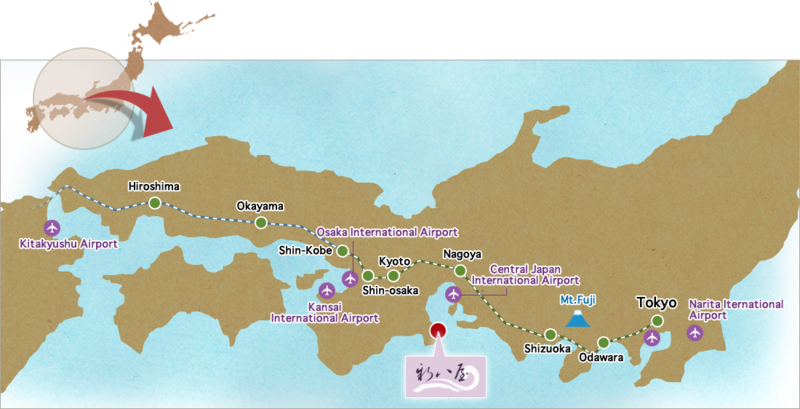 Experience the nature that surrounds Shinpachiya; from the wilderness of the Pacific Ocean to Mt. Fuji. With your family or partner... Enjoy a feeling of privacy on your travels. The breeze blowing across the magnificent Pacific Ocean. It heals our body and soul, at times gently, and at others with the majestic power of nature. * Reservations are accepted on a first-come basis when checking in. The sun rising over the ocean horizon. An elegant, majestic natural light. 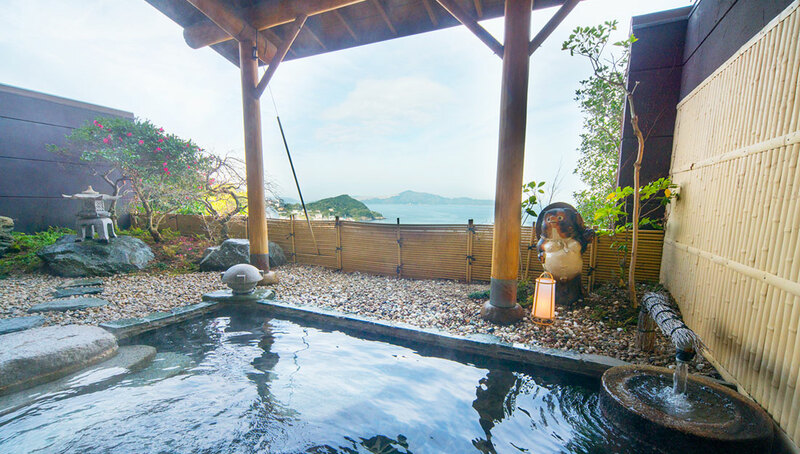 And the deep blue sea, azure sky, and green trees... Feel the contrasts of the natural light along with the special ambience of the hot spring. * Bathing tax (150 yen) will be charged in addition to the accommodation fee. We appreciate your understanding. Women who skin dive to catch fish and shells are called "ama". Ijika is known as the birthplace of amas. 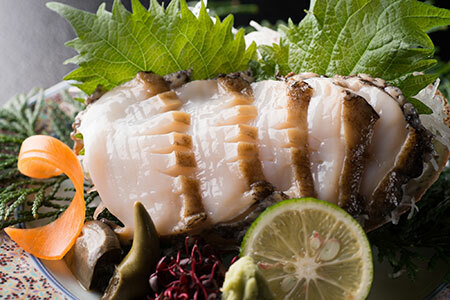 There's a lot of pride attached to the just-harvested fresh sea produce. 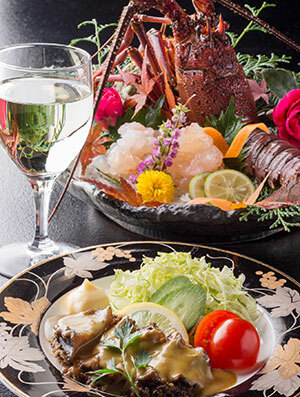 Enjoy carefully prepared "washoku" cuisine to your heart's content. 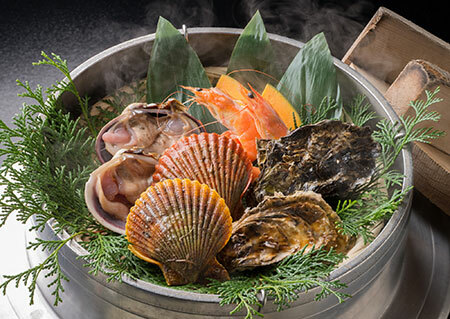 Seafood, mountain produce and the blessings of nature are diligently prepared. 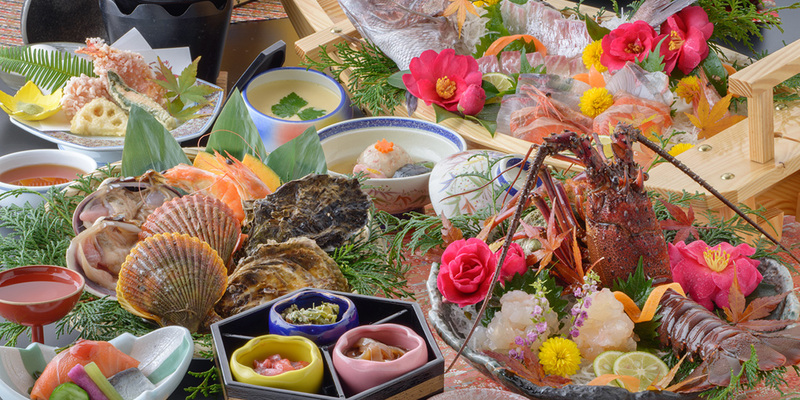 Shinpachiya is close to Ijika Port, so of course offers daily fresh seafood, but we also enjoy an abundance of mountain produce. We offer our guests the essential flavors of seasonal ingredients brimming with life. Savor food capturing the spirit of the season, dish by dish. Meals are served in your room or in a designated private room. 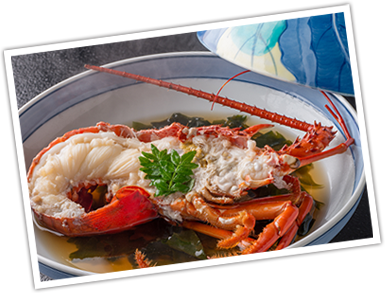 The freshest ingredients are used, carefully selected by our chef every day. Hand-picked seasonal ingredients are bought in every day to produce superlative dishes. It is important to be able to judge the seasonal flavors as they change through the year. 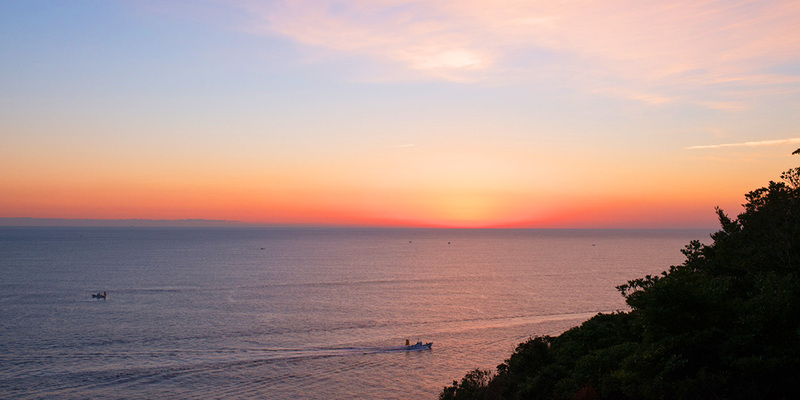 Ise-Shima is a land rich in natural blessings. 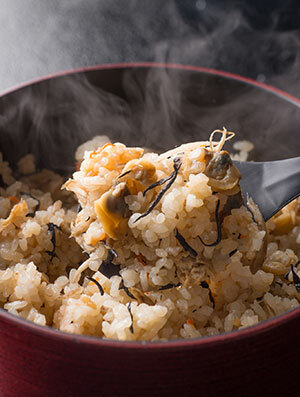 We strive to bring our guests meals that satisfy the palate and warm the heart with a focus on the unique local ingredients of Ijika.